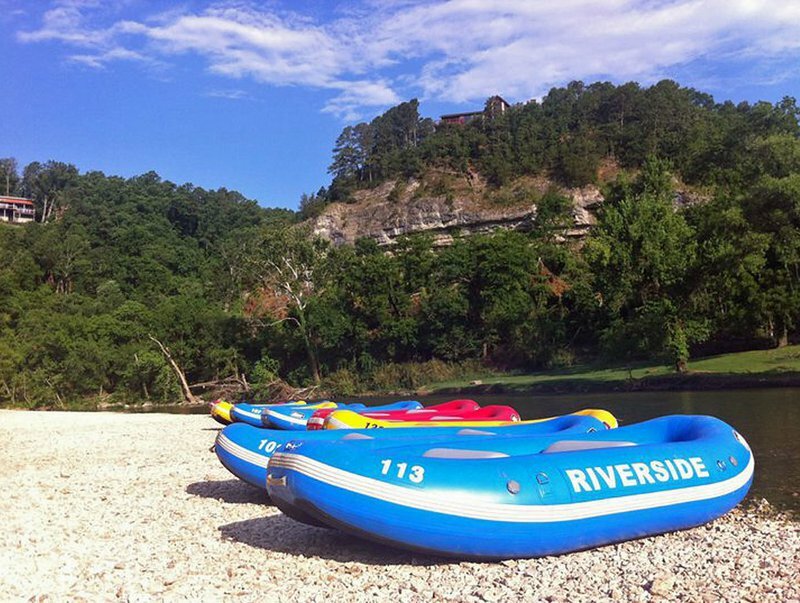 Located on the banks of the Illinois River near Tahlequah, Riverside Resort offers raft, canoe and kayak rentals for float trips down the river. Bring friends or family along for a leisurely ride on a raft, or choose a canoe for more speed and ability to maneuver in the water. For the fastest float trip, rent a one- or two-man kayak. 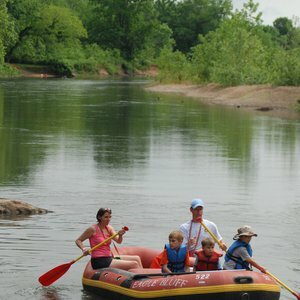 Depending on how long you wish to be out on the river, you can choose either a six- or 13-mile trip. Riverside Resorts offers lodging to accommodate groups both big and small. The cabins offer gorgeous views overlooking the Illinois River and feature kitchenettes, two full-size beds, bed linens and barbecue grills. Sleeping from one to four people, the cabins are a great option for couples. The group lodge facility at Riverside Resorts accommodates up to 42 guests, and is ideal for family reunions and other get-togethers. A large, fully-equipped kitchen, dining/meeting room, carpeting and central air-conditioning are a few of the great amenities offered in the lodge. In their free time, guests will most likely be found on the lodge's private deck that overlooks the river. The campground at Riverside Resort features electric hookup sites as well as primitive camping sites, and is within walking distance of the river. A camp store on the grounds offers picnic supplies, ice, firewood and more, and a basketball court, volleyball court and horseshoes are available. Open daily from May 1 through Labor Day. Located 17.5 miles north of Tahlequah on Hwy 10, or 9.5 miles south of Hwy 412 on Hwy 10.